November is the time of year we expect the weather to have rapidly falling daily high temperatures. It may be a pleasant 62 degrees one day, followed quickly by the season’s first snow. 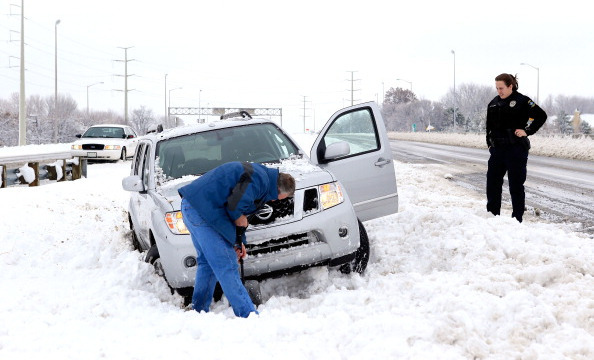 As a result, November is the optimal time to prepare your vehicle for Winter weather. You want to make sure your vehicle is prepared ahead of time because you don’t want to hassle with a dead car on a snowy day. Test your battery. Winter can be hard on a car battery, so we’ll test your battery to make sure it’s fully charged and functioning properly. Improve your visibility. We will check your windshield wipers to make certain they are functioning properly; giving you clear visibility. We can also polish and restore your headlight lenses to make sure they can throw the brightest light onto the road ahead of you. We can even refill your washing fluid with de-icer. Examine your belts and hoses. Extreme temperatures are very hard on belts and hoses. We will examine them to make sure there are no signs of wear, tears, or slack that would prevent your engine from running smoothly. Check your tires and tire pressure. On the first cold morning of the season, we get a lot of people telling us their tire pressure sensors indicate that their tires are low. Yes, indeed. Cold temperatures can affect your tire pressure, so we’ll make certain your tires are in good shape and are filled with the correct amount of air. Check your antifreeze, oil, and other fluids. Our team may remix your antifreeze to a ratio of 60/40 to prevent the mixture from freezing even at terribly cold temperatures. We’ll also check your oil and other fluids and make sure you’re not at risk of engine failure when the thermometer drops. Check your heating system. If you want to remain toasty and warm while driving, it is imperative to make sure your defroster and heater settings are functioning properly. Clean your windshield, inside and out. Familiarize yourself with the four-wheel drive options on your vehicle. Keep an emergency kit in your trunk, plus gloves, water, and a blanket. Keep a bottle of de-icer in your purse or briefcase. If you would like the team at Gary’s Auto Service to help prepare your vehicles for Winter, we’ll be happy to do so. Check the mailer we’ll be sending our clients with money-saving coupons.For best service, schedule an appointment online, or call (314) 414-3419.